While the Paris Metro and RER will get you within walking distance of nearly all of the popular attractions and districts in Paris, you may want to consider riding the bus or tramway for some of your explorations. The RAPT operates two bus routes that cater to visitors and sightseers. One is the Balabus which runs Sunday afternoons between 12:30 pm and 8pm from April to September between The Grand Arche and Rue de Bercy, stopping at all of the major tourist attractions along the way. Next is the Montmartrobus which runs year round from morning until night. The route begins at Place Pigalle and stops at all major points of interest in the historic district of Montmartre. If you are feeling adventurous, it can be fun to just hop on any bus and sit back and enjoy the sights and get yourself little bit lost. With the exception of the elevated sections, you won't see very much riding the Metro and there will always be a bus (or Metro) heading back to where you came from. Bus routes in central Paris are numbered with 2-digits ranging from 20 to 96. Buses that travel to the outer suburbs and intercity buses have 3-digit route numbers from 101 on up. There are 4 tram routes logically numbered T1 through T4. Night buses or "Noctilien" have the letter N in front of the route number and service the major transfer points in Paris. Tickets and passes for the buses and trams are the same as on the RER and Metro. If you have a Paris Visite Pass you can ride them freely within the designated zones, otherwise they take the same t+ ticket as the Metro or RER. It is much less expensive to purchase tickets in books of 10 called a carnet than one fare at a time. 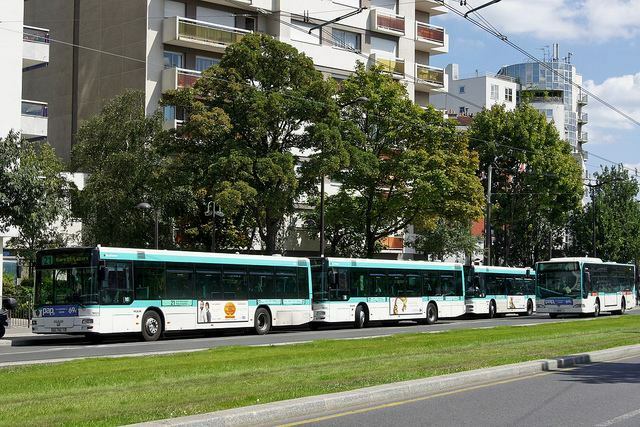 Paris Buses and Tramways operate under the RATP (Régie Autonome des Transports Parisiens). For more information on how and where to purchase fares and the different fare options visit our page on Fares. 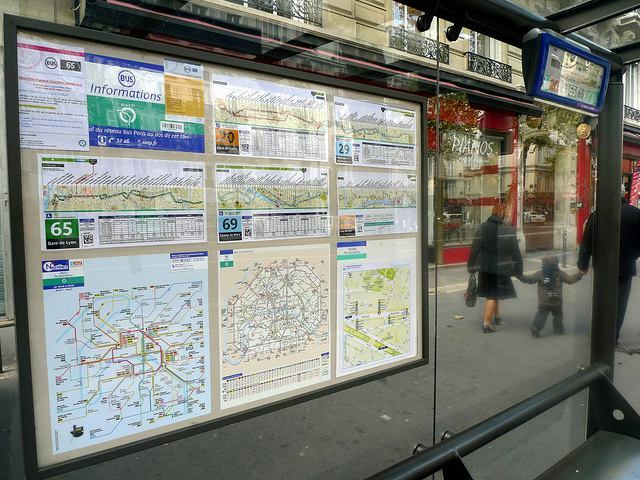 More information and maps of Paris bus and tram routes can be found at the official RATP Tourist Portal.